Eco-Libris blog: A new collection of poetry and prose of author Janice Winokur is going green with Eco-Libris! A new collection of poetry and prose of author Janice Winokur is going green with Eco-Libris! We're happy to announce on a new collaboration with author and educator Janice Winokur on her first collection of poetry and prose, In the Light of an Alabama Rain: A Meditation. One tree will be planted with Eco-Libris for each copy of this book! Containing a rich tapestry of insights and reflections, this highly readable collection of vignettes is both memoir and spiritual exploration. She assembled these entries and they became In the Light of an Alabama Rain: A Meditation. Readers who look for inspiration in stories and words will be lifted up by the glimpses of light discovered here in the smallest, and sometimes the darkest moments of life. A childhood memory, a parent’s decline, the absence of a loved one, and many other experiences, are probed by Winokur for their sparks of illumination. 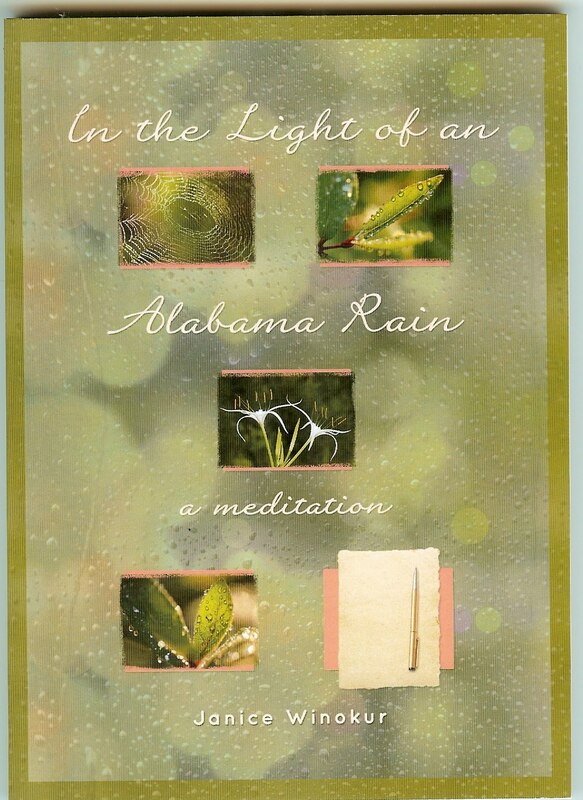 Read from beginning to end, the book is a single, Spirit-filled love poem that embraces all of life, both the mundane and the profound.